Several development schemes have been approved by the Cabinet Development Committee of Azad Jammu and Kashmir on Wednesday 3rd Oct, 2012. The estimated cost of these uplift schemes is Rs 3.4 bn. Many members of the cabinet find the amount far less than the bailout package of Rs 20 bn which was reportedly promised by the federal government. The official sources in AJK’s constituency have said that the Annual Development Programme (ADP) of AJK for 2012 is Rs 9.4 bn while the throw forward (cost of all projects of ADP) is Rs 67 bn. ADP officials believe that this throw forward will increase further if the federal government fails to channel funds for the completion of the planned projects. A group of representatives from the Government of AJK will meet the finance minister on Friday for further discussion in this regard. 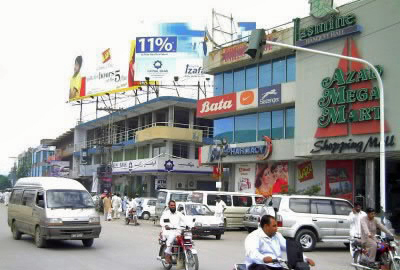 According to the details issued by official sources of the Cabinet Development Committee of AJK, the approved schemes include reconstruction and widening of Batlian Phagwan Sarran Road, Muzaffarabad phase II link Road, Lamnian Reshian Road, Road connecting Hattian Bala and Neelum districts, and Khaliqabad Road Mirpur. Construction of bridge on Jhelum Road, Ambore and Jhelum Canal, Bhimber are also included in the planned projects. Installation of solar system for remote areas of Bagh and Upper Neelum is included in the power sector projects of the ADP. In education sector, the concerned officials will ensure acquisition of land for Poonch University, up-gradation of 26 colleges, and construction of 7 middle schools in Sudhnoti as well as provision of furniture for them. Some ex-agenda projects include completion of Ruly Hills Scheme, construction of Dadyal and Chechian bypasses, reconstruction of Pir Galli to Kala Dab Road and Pir Gali to Pir Godi Roads, and construction of Block-12 in Muzaffarabad civil secretariat. The officials have shown concern over completion of these projects as it depends on provision of the bailout package. Chaudhry Abdul Majeed, Prime Minister of AJK, said that the concerned official have been directed to work on the important projects only, without affecting the status of the ongoing projects. He further added that the remote areas of AJK and especially those that have been deprived of such facilities will be given priority. Majeed has directed the electricity department of AJK to install solar panels on an urgent basis in the areas that are still deprived of electricity or receive electricity for a limited time.